Any chance we can sign Porzingod next year? If Knicks get a big name free agent perhaps they won’t won’t to match an offer sheet for porzingod and be in tax territory (?). Any chance? I read that puff piece on the Clippers. Couldn't tell if Beck was being tongue in cheek when describing Balmer's ridiculous sales pitch . I expect them to finish as an 11 or 12 seed. Don't really see any big free agents going there but I think most of them will stay put anyway. I think Minny would want BI/KCP (filler)/future 1st as a beginning deal. Imo no team is gonna trade us an allstar without demanding a package centered around BI, Kuzma or both. 2. Lonzo (not for everyone, thanks Dad Ball). You have to take into consideration salary here. Lonzo next year will make $8.2m. Kuzma and Hart will each make $1.9m. If the Lakers are trying to create a win-now roster, Hart and Kuzma are more valuable commodities given their impact at their salary. I was trying to see it from other teams' perspective. I agree with you about contract value. Hart/Kuz far outpacing their salary. BI is in the red zone now where he needs to justify an extension or be a trade asset next season. -reduces the # of ball dominant players in the starting lineup, improves defense. That's a really well balanced and competitive team. Still hoping it can happen somehow. I've always liked Ariza and wished he could have had more years as a Laker. That's on Trevor. He overvalued himself when there was a ready replacement in MWP. Oh, I get that. Just think there's a better way to end this story. Go on a championship run with the Lakers at the end of his career. Let a brother dream for a minute. And Ariza is not starting for me in real life and in a video game. This is hypothetical, but you're missing a few things. 1. Ariza is a 3/D guy with low usage and has been a consistent above 35% 3 point shooter on high volume. He also defends 4 positions (did an admirable job on Steph in the playoffs last year). 2. Our bench unit needs a go-to scorer. I think Kuz can be that man. So in the starting group you have 3 guys who do not need high usage (Lonzo/Ariza/JaVale) but play defense. That means LBJ/BI get the ball more. 2nd unit with Kuz feasts; he can be a 6th man candidate. Kuzma and Hart appear to be contributing and are valuable parts of the rotation. And at their salary they are great bargains. And at low acquisition cost. Ingram seems to be coming around and once he gets consistent will be an asset. Lonzo for his position in the draft is not delivering. He still haven't found his shot. His defense and passing will keep him in games. But his poor FT percentage makes him a liability at the end of games. The Lakers need just one more consistent scorer and closer to be a contender. Would make Kemba Walker and Middleton the targets next year as they are possible to sign if paid. Rondo, McGee, Chandler, Stephenson are playing well enough to be brought back next year. BTW, what the heck happened with Josh Jackson? Barely playing and averaging 7/2/2? They have young wings that need to play and develop in TJ/Jackson/Bridges. He can't shoot, has 2-option vision, needs to get a step through running curls off screens, gets pushed around a bit. I thought he could at least be a Gerald Wallace energy guy. Maybe he needs to bring back his hair. The Ariza/Anderson signings/trades make no sense to me. What are they doing with these guys? I wouldn't be surprised if they're bought out and they clean house and "tank" (new lottery system and odds notwithstanding). Why not put the iso guy BI on bench if u need bench scoring? Because offense isn't the problem with the starting unit (and you know I love me some Kuz). With BI/Ariza/Lonzo you may have one of the best perimeter defensive trios. Then you add Kuz's scoring firepower off the bench? Damn. 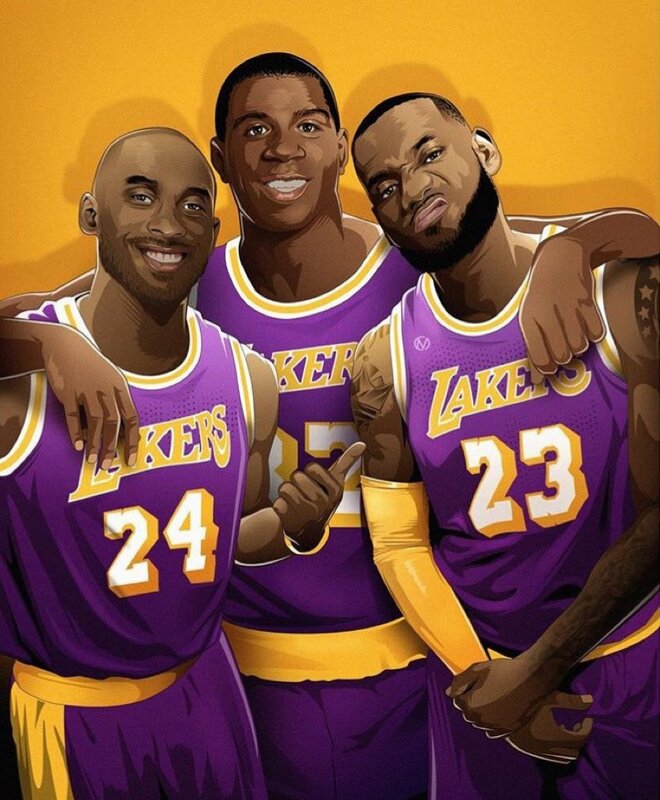 Isn’t it funny that when LeBron was on another team, media labeled him as the free agent magnet, everyone wants to join team LeBron but no one wants to come here play with Kobe. Now that he’s on our team, the narrative takes a 180 degree turn. The hatred for the Lakers is alive and well. Got to be rough being a Suns fan. So many draft pick misses. Booker is good and Ayton is not a bad pick, just don’t know if I would have picked him #1. I prefer Doncic especially in today’s game. I think they're in decent shape. Need to get some defenders around these guys. Booker will be a 25-30ppg scorer from now until his prime. Ayton will be a low post scoring option. But everywhere else they should get 3/D guys. Have you seen Trae Young's stats? 1. He went from Cleveland to Miami the same time as Bosh. the free agents that went to Miami after that played on cheap contracts because Bosh, Wade and LeBron were the bulk of the team salary. 2. He went from Miami to Cleveland and they traded for Love shortly after that. 3. He went from Cleveland to LA and they signed vets on one year contracts to maintain flexibility. Players that I would consider to be part of LeBron's generation. Wade and Melo are washed up or already out of the league (Bosh). CP3 still has some game, but maybe not for much longer. Durant, Butler, Paul George etc are somewhat younger and considered more independent of LeBron than the older players mentioned above. They stole Booker. Ayton is fine, just needs patience. Even then he's already putting up numbers. Their coach though? That dude is underrated. Suns lack experience on the team, and they're not cohesive defensively. Melton gets no PT. I think JJ was more of an intangibles pick, just like Sexton was. Mikal Bridges and TJ Warren are legit. They're actually around where the Lakers were just last year, except they don't have a quality point guard. There's an argument, and a relatively fair one, that their drafting is PERFECTLY fine, and even with the miss in JJ and Bender, the rest of the guys are at expectation or overachieving. And if bought out he will go back to the team that shunned him instead of the team that paid him?